Our used cars come fully serviced and with a multi-point safety check for our customer’s peace of mind and well being. 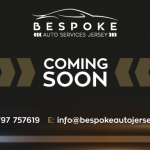 Bespoke Auto Services Jersey are delighted to collaborate with established and respected local companies. 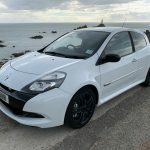 Our vehicles are serviced and prepared for sale by the very best technicians in Jersey. We are very brand specific, ensuring our vehicle’s are serviced and repaired at the franchise dealer, or independent specialists of each individual vehicle we sell – ensuring peace of mind. If you have a preferred mechanic or require a franchise dealer service with your new car, we are happy to discuss this at point of sale. The high quality vehicles we sell here at Bespoke are also warranted, for varying lengths of time, depending on the age and mileage of the vehicle in question. We also sell vehicles still under manufacturer’s warranty, whereby any warranty work is undertaken at the recognised local franchised dealer. Top Up warranties are also offered for cars which may be approaching the end of their franchise warranty period. We underwrite our own warranties in-house and do not deal with 3rd Party UK based warranty companies. This ensures our warranties are non-quibble and tailored to perfection – Again, for greater peace of mind. Bespoke are extremely passionate about our after sales care and provide loan cars to keep you mobile should your car need repairing or servicing. We also encourage that you meet our technicians to establish a trusted relationship, should you wish to continue your servicing and bodywork for the years ahead with our various trusted contacts. Please call us on 07797 757619 or email [email protected] should you have any questions about our after sales services.